Momentum's Metrics display information from 3rd-party services at the top right of Momentum, so you can monitor the progress you're making towards your daily goals. Momentum currently has Metrics for Fitbit Steps and Todoist Karma, with plans to add more in the future! Metrics are exclusively available to Momentum Plus members. Upgrade to Plus today to start using Metrics, and all of the other exclusive Plus member benefits! The Metrics you connect to cleanly display at the top right of Momentum. If you have more than one metric connected, one of them will randomly display each time you refresh or open a new Momentum tab. To connect a metric, visit the Metrics section of Momentum's Settings ⚙️, click + Add Integration, select the metric you want to connect to, and then login/authorize your 3rd-party account. To disconnect a metric, revisit the Metrics section of Momentum's Settings ⚙️, hover your mouse cursor over the metric you want to disconnect from, and then click Disconnect. 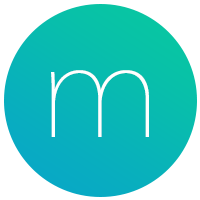 You can find specific connection instructions for each Metric in the Metrics section of Momentum's Help Center.